This isn't only a challenge of international marketing, but a domestic marketing consideration as well, particularly for B2C marketers. The rate of growth of the Latino communities in the US dictates that marketing consider effectively localized presentations (not simply monolithic Hispanic marketing but marketing that is properly nuanced based on language and dialect as well as cultural considerations. That's one of the potential benefits of exporting to Latin America - companies will gain much deeper insight into the culture of various groups to whom they must market at home. But for B2B companies expanding globally, the challenge of international marketing is both cultural and administrative. Inbound marketing is celebrated for many reasons - one that's under appreciated is the ease with which it allows companies to expand internationally. Typically companies early in their export growth either follow an existing customer, commission an extensive research project to find the right markets, or casually select one based on some factor of familiarity. The right way is to add transcreated content, and most do this with a content management system. The beauty of a CMS is that it simplifies the process of adding content to your website. However, while it's easy to add a page, if you want a page in a different language, the solution is typically to create a parallel web structure (often a set of nested pages for a language) to do so. It's vastly simpler than what would have been required five years ago, but it violates every rule of efficiency. Want to make a change? If it's just content you must do so in two places, but if it's a change to structure and navigation the challenge is more substantial. For truly global companies there are very sophisticated CMSs which are capable of managing multiple sites (different TLDs and hosting locations in addition to language) through a single interface. eSpirit is one example that we've written about before. At advanced stages of global commerce the value of highly locally optimized content is worth the investment, but for the vast majority of companies there's a solution to achieve much of the value at a much lower cost and with a vastly simpler experience. 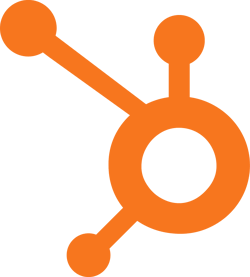 A couple years ago HubSpot introduced their 'COS.' The premise was an easy to use CMS which was fully responsive (no more unreadable websites on your tiny smartphone screen) and allowed marketers to deliver different content to different visitors on any given page. It's a great concept which has gotten more traction as the importance of personalized experiences for complex buying journeys has become more widely understood. They've recently added a number of other capabilities including what they call "anonymous personalization" or essentially the ability to tailor the content which is rendered based on visitor attributes which are determined without any interaction. So originally the COS allowed you to deliver different information based on what a prospect had previously told you about their industry. Now it allows you to deliver different information based on where they are located (country) and a variety of other variables. Of course this isn't a new concept. Language tags have been used for this for some years. And this approach doesn't allow for optimizing single pages for different search terms in different languages. But what's new is the ease with which marketers at small and mid-size companies can manage and serve multi-lingual content using the COS.
From within the same page publishing tool one simply toggles between WYSIWYG boxes to create the rules and build the content. The power of the COS is enormous for thoughtful marketers with a strong business understanding of their buyer personas. But one large benefit is to provide SMBs with a remarkably flexible and easy to use multi-lingual CMS for their international marketing. If it's genuinely easy to do, does that make you more inclined to give it a go? Want to learn more about the basic principles of international marketing localization? Check out our free whitepaper.